Want to try out Sandler Training Sandler Training of Chattanooga, TN? Crash a Class as our guest! 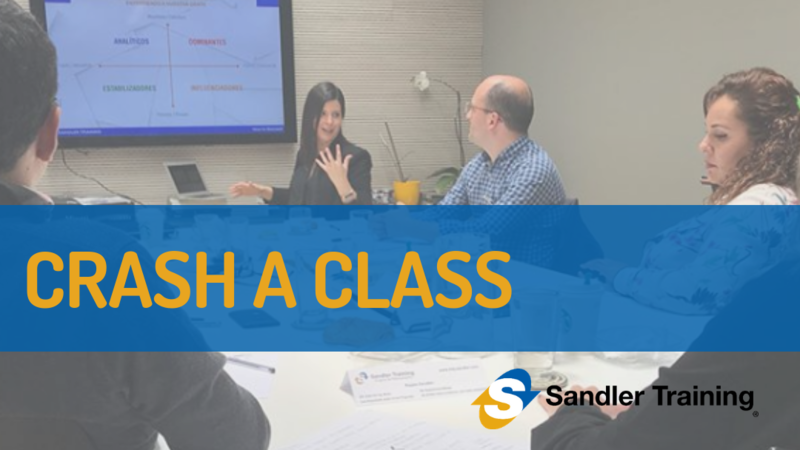 Crash a Class and experience the power of Sandler Training of Chattanooga, TN! - Build successful sales, leadership and support systems. - Grow your business, manage your team and increase revenues. - Implement processes that generate productive conversations for long-term results. Take the first step in transforming your sales results. Discover a workable, ground-level solution! Seating is limited- Don't miss out!